650 boys and girls and their families joined Slough RFC for a celebration of KIDS FIRST Rugby at the 2019 Wynford Phillips Festival. In good KIDS FIRST form, a number of mixed teams were created on the day so that more children got more playing time. Pools were kept small and games were managed by the coaches of participating teams to ensure that players had the best experience possible. Slough U7s had a great day of Tag Rugby with teams from Bracknell, Hillingdon Abbots, Richmond and Rams RFC. 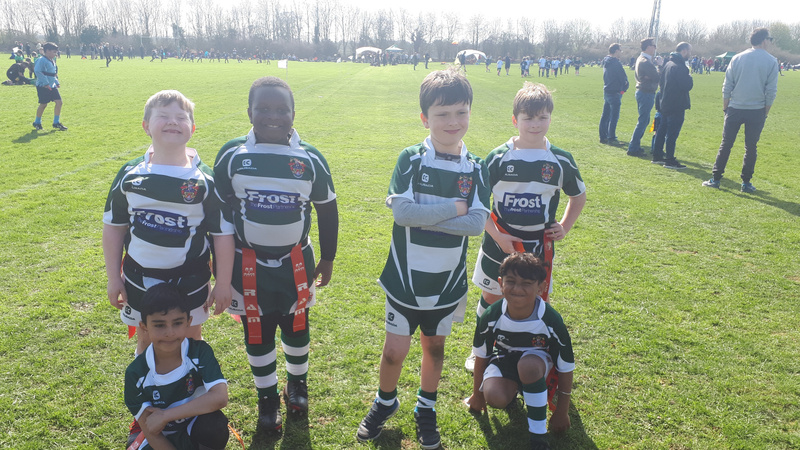 Slough U9s made a slow start to their matches however made big improvements in play as their confidence grew throughout the day; Caleb Donohoe, Cody Walters, Hector Madumere and Harvey Hitchings- Goswell on the scoresheet for the team in games against Rams RFC, Richmond and Bracknell. Slough's small group of U10s formed a baabaa team with Rams RFC giving them some valuable match experience whilst the Slough/ Farnham Royal U12s baabaa team had an enjoyable time playing against friends old and new from Weybridge, Rams, Bracknell and Hillingdon Abbots. “The Wynford Phillips Youth festival is back and with a bang. It was great to see so many players, parents and coaches enjoying the rugby with smiles on their faces and the weather was an added bonus. The Wynford Phillips Youth festival is truly about putting KIDS FIRST. Feedback from visiting teams has been extremely positive so far with many comments about how well run the event was. This could not have happened without the hard work of our volunteers. It is they who make these events run smoothly and successfully so thank you to everyone whether helping in the kitchen, bar, car parking, First Aid or in other areas and to all of the coaches and referees for a great day"
2018  Unfortunately there will be no Minis Festival this year. Slough Minis Festival will return in 2019.